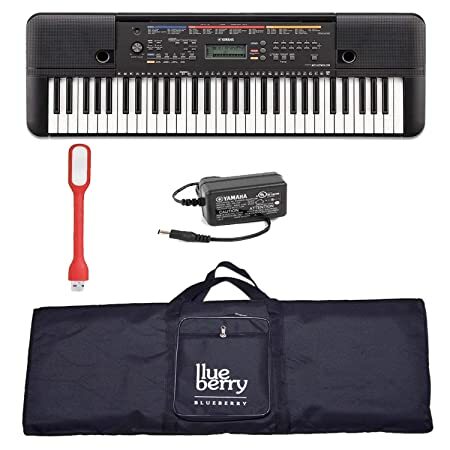 The lowest price of Yamaha E-263 61 keys keyboard with Blueberry Cover Bag Adapter USB LED along with keyboard Stand ( 61 Keys ) is at Amazon where is it is for INR 11151. This price is INR 3239 lower than the other price for the product. The prices for the product change across variants. The price for Yamaha E-263 61 keys keyboard with Blueberry Cover Bag Adapter USB LED along with keyboard Stand ( 61 Keys ) is valid across Bangalore, Hyderabad, Chennai, Mumbai, Delhi, Pune and Kolkata. The Yamaha E-263 61 keys keyboard with Blueberry Cover Bag Adapter USB LED along with keyboard Stand ( 61 Keys ) is available at best price of INR 11151 on Amazon.